Fireflies are also known as lightning bugs. They make up the Photinus genus of the Lampyridae. Fireflies are distinctive flying insects because they produce flashes of glowing light from a section of their abdomen. No other type of bug is capable of imitating the flashes of light that fireflies naturally produce. Fireflies exist all throughout the United States, including in the state of Texas. "Texas Parks and Wildlife" magazine says that the United States is home to approximately 175 species of firefly, 36 of those species existing in the state of Texas. According to a Texas A&M website, the woods firefly (Photuris pennsylvanicus DeGeer) is a common type of firefly found in the state of Texas. Texas A&M reports that fireflies are most likely to be spotted at night near wooded areas. Both male and female fireflies glow. Not all female fireflies are capable of flight. Some female fireflies are wingless and bear a strong resemblance to larvae rather than to adult males of the same species. These fireflies may be referred to as glowworms. Fireflies are typically a half-inch long or smaller, with narrow bodies and flexible wings. Fireflies have a life span that lasts approximately two years. 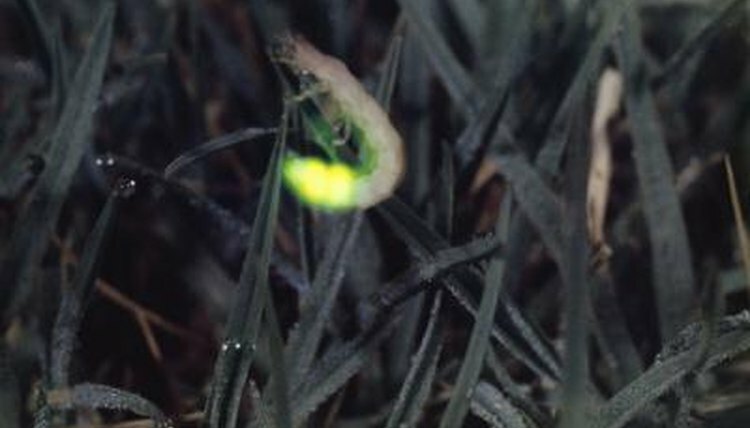 Fireflies spend the winter months as larvae living in chambers within the ground. They become pupae during the spring months and emerge in early summer as adult fireflies. Fireflies are nocturnal; they prey on other bugs as well as consume earthworms, snails and slugs. The light that fireflies produce allows these insects to lure their prey to them. The light also helps fireflies find and choose their mates.